It's likely to get worse for Trump's former national security adviser before it gets better. On Election Day 2016, a curious op-ed article appeared in The Hill, under the headline: “Our ally Turkey is in crisis and needs our support.” The author — Michael Flynn, who had been director of the Defense Intelligence Agency for two years in the Obama administration — struck a remarkably positive tone toward Turkey and its controversial president, Recep Tayyip Erdogan. The piece also took a series of shots at Fethullah Gulen, an exiled cleric accused by Erdogan of promoting a failed July 2016 coup against the Turkish government. The op-ed became that much more curious in March, after the author belatedly registered his consulting firm under an obscure federal statute — the Foreign Agents Registration Act, or FARA — and disclosed that his firm had received over $530,000 from Turkish interests closely aligned with President Erdogan. The Hill, obviously embarrassed, tacked on an Editor’s Note flagging the conflict of interest, and the failure of Flynn, who had been fired in February as President Donald Trump’s national security advisor, to disclose it. For as much as the investigation of special counsel Robert Mueller seems to be focused on potential collusion between the Russian government and the Trump campaign, Flynn’s March disclosure suggested that, at least in his case, his conflict of interest lay with Turkey. 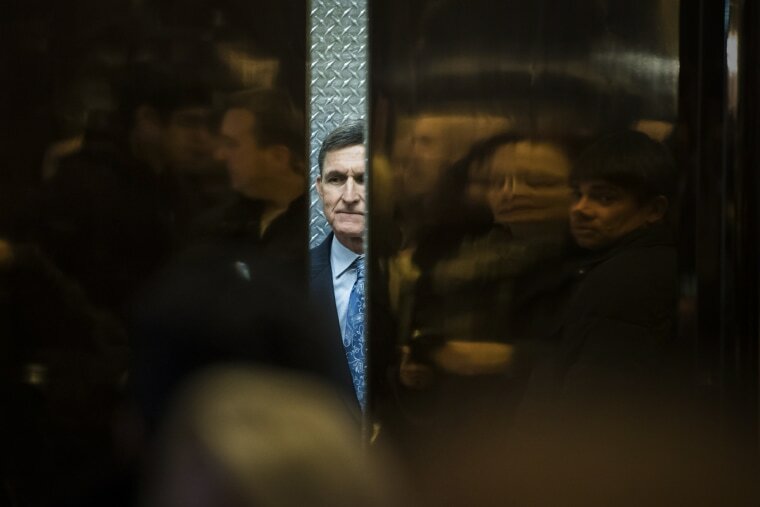 Unfortunately for Flynn, things may have just gotten a lot worse. As NBC News first reported on Nov. 5, Mueller and his team are apparently investigating an alleged plot involving Flynn, his son and potentially others to forcibly and extra-legally effect the return of Gulen — currently living in rural Pennsylvania — to Turkey in exchange for millions of dollars. The Wall Street Journal then reported on Nov. 10 that the plot was the subject of at least two different meetings last fall, including a December meeting in New York. During that meeting, quietly transferring Gulen by private jet to a Turkish prison island, in exchange for $15 million, was apparently included in the discussion. That Flynn even took such meetings, even if they came to nothing, underscores the serious legal jeopardy in which he either already does, or soon will, find himself. To understand why, it’s worth saying a bit about FARA. FARA itself is a complex, technical and, in many ways, outdated statute. Enacted in 1938 on the eve of World War II, the law wasn’t actually designed to prohibit specific conduct. Rather, it was created so that when lobbying or other political activities in the U.S. were carried out at the behest of foreign interests, the American people were informed of those relationships. In other words, FARA is about promoting transparency, not prohibiting excessive foreign entanglement in domestic policy. Even if Mueller’s team finds Flynn’s disclosures to be accurate, he could be on the hook for a less technical offense. Even if Mueller’s team finds Flynn’s disclosures to be accurate, however, he could potentially be on the hook for a far different — and less technical — offense than Manafort and Gates. A separate provision makes it unlawful to hold public office while acting “as an agent of a foreign principal required to register under [FARA].” The natural question, then, is whether Flynn was still working with the same Turkish interests when he accepted the post of Trump’s national security advisor. If so, there’s no wiggle room; he committed a felony, full stop. That’s why the new developments broken by The Wall Street Journal are potentially so significant for Flynn. However shady his dealings with the Turkish government may have been in the past, and however unethically he may have acted during the Trump campaign, his legal exposure may ultimately be determined by when the alleged conduct occurred. In this context, the Gulen allegations are damning, not just because the timing puts it on the far side of the 2016 election (with the second meeting coming in December), but because it suggests Flynn was actively engaged in facilitating arrangements that would go into effect once he (and the Trump administration) were in office. Optically, ethically, politically and legally, that’s a meaningful step beyond the charges born from Mueller’s investigation to date. Steve Vladeck (@steve_vladeck) is a professor of law at the University of Texas School of Law whose teaching and research focus is on federal jurisdiction, constitutional law, and national security law. He is the co-editor-in-chief of the Just Security blog (@just_security) and co-host of the National Security Law Podcast (@nslpodcast).